The efficiency of gas furnaces have improved over the years with the use of cleaner, safer equipment and standards by manufacturers. Yearly savings on energy costs have also significantly increased due to the common use of gas furnace units throughout the United States. With the drop of outside temperatures, problems with your natural gas furnace will most likely begin. If that’s the case, call Orange Plumbing Heating & Air Conditioning! We are a reputable company of professionals that could take care of all your gas furnace repair needs. Understanding them early can help you estimate whether you have a simple, easy to fix problem or something that is more serious. No heat: the cause of this might be the thermostat that is set too low or not working properly. Also check the circuit breaker or fuse, the natural gas or propane control valve should be closed. The heating is scarce: a dirty furnace air filter or the gas burners requiring an adjustment might be a possible cause. Furnace turns on and off too frequently: this might happen because your air filter is clogged or gas furnace motor isn’t working efficiently. Blower does not turn off: your thermostat might be set by default to blow continuously. Noisy system: a squeaking noise in your system might be caused by lack of motor lubrication or having improper belt tension. Pilot light goes out: could be triggered by a strong draft, dirt in the tube or vent. After you checked your gas furnace and couldn’t find a problem yourself, do not hesitate to contact an experienced HVAC contractor. 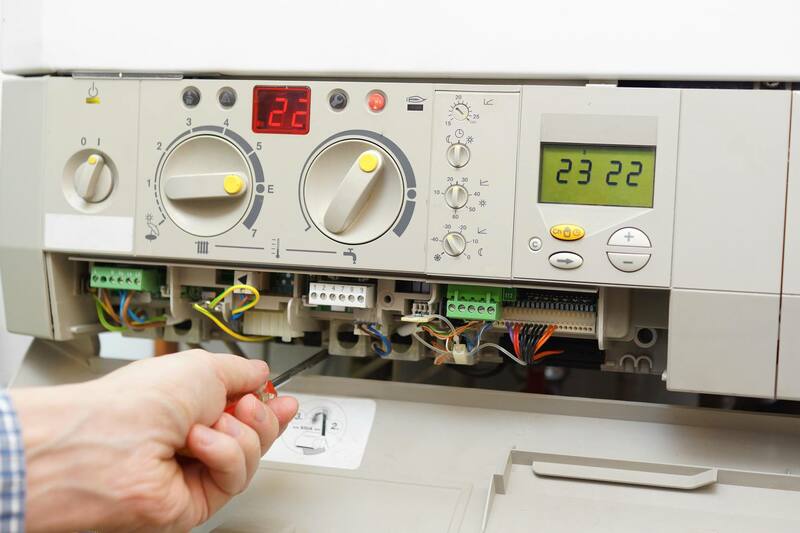 Other possible issues that people face with their gas furnaces might be a damaged thermostat, mismatched furnace and thermostat or a problem with the electronic ignition. In this case it will be best to call and schedule a gas furnace repair with Orange Plumbing Heating & Air Conditioning. Any furnace, even the most advanced one, may present combustion or gas-related safety hazards, so it will better to have an expert examine the gas furnace unit and offer you the best solutions. At Orange Plumbing Heating & Air Conditioning we repair different types of gas furnaces, contact us today!